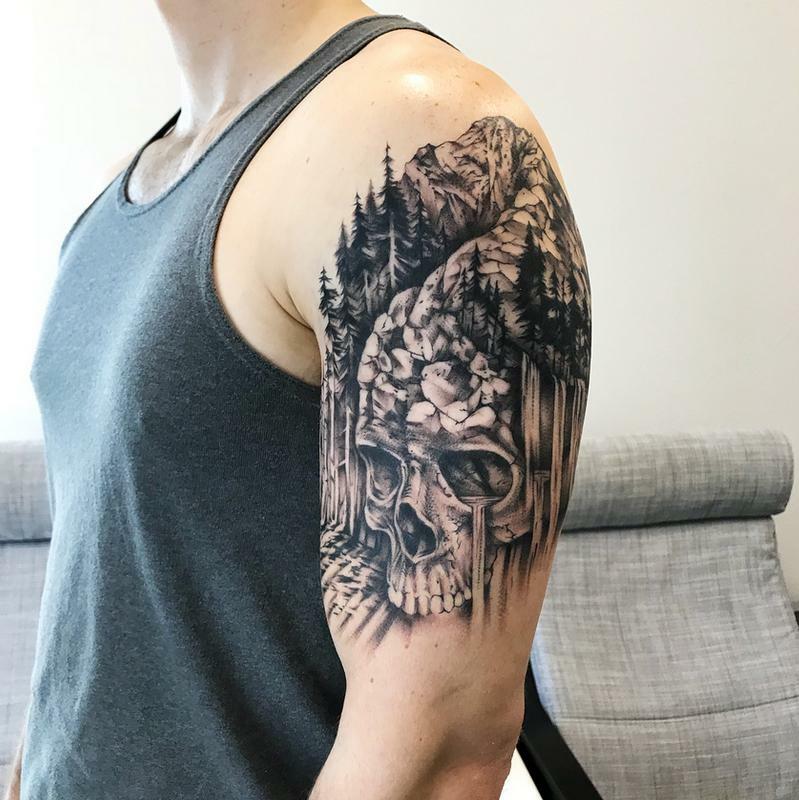 Skull, Mountain, Waterfall on Arm. Tattoo artist at Rebel Muse in North Texas. Contact MichaelBalesTattoo@gmail.com for inquiries, or visit MichaelBalesArt.com for fine art and prints.